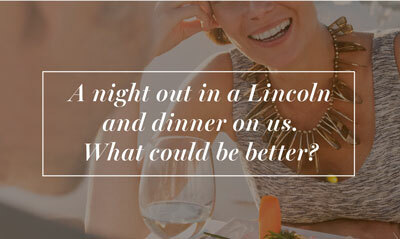 Donnelly Lincoln is offering qualified individuals a chance to drive a Lincoln for a night so you can truly experience the vehicle for yourself. We present you with the keys to a new Lincoln of your choice and a $100 gift card to a selection of local, high-end restaurants – simply choose your favourite. Without any pressure to purchase the vehicle, we simply want you to experience a Lincoln MKZ, MKC, MKX, Continental or Navigator for yourself. Bring your significant other for a night on the town, tour your favourite neighbourhoods and end the night off properly with a delicious meal.